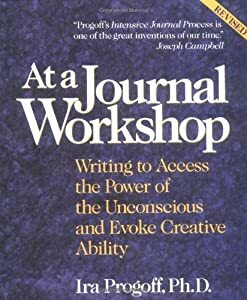 Although people have written diaries and journals for centuries, the therapeutic potential of reflective writing didn’t come into public awareness until the 1960s, when Dr. Ira Progoff, a psychologist in New York City, began offering workshops and classes in the use of what he called the Intensive Journal method. Dr. Progoff had been using a “psychological notebook” with his therapy clients for several years. His Intensive Journal is a three-ring notebook with many color-coded sections for different aspects of the writer’s life exploration and psychological healing. The Progoff method of journal keeping quickly became popular, and today the method has been taught to more than 250,000 people through a network of “journal consultants” trained by Dr. Progoff and his staff. In 1978, journal writing for personal growth and emotional wellness was introduced to a wider audience through the publication of three books. Dr. Progoff’s At a Journal Workshop detailed his Intensive Journal process and gave instructions on how to set up an Intensive Journal for those who could not attend a journal workshop in person. In 1977 a young writer and teacher from Minneapolis named Christina Baldwin published her first book, One to One: Self-Understanding Through Journal Writing, based on the adult education journal classes she had been teaching. And in Los Angeles, Tristine Rainer published The New Diary (1978), a comprehensive guidebook that for many years was the most complete and accessible source of information on how to use a journal for self-discovery and self-exploration. In the 1980s many public school systems began formally using journals in English classes and across the curricula as well. These journals, often called “dialogue” or “response” journals, offered a way for students to develop independent thinking skills and gave teachers a method for responding directly to students with individual feedback. Although the intention for classroom journals was educational rather than therapeutic, teachers noticed that a simple assignment to reflect on an academic question or problem often revealed important information about the student’s emotional life. Students often reported feeling a relief of pressure and tension when they could write down troubling events or confusing thoughts or feelings. ©1999 Kathleen Adams. All rights reserved. Please contact us to request reprint rights. This article first appeared in The Illustrated Encyclopedia of Mind-Body Medicine, The Rosen Group. Accessed from www.journaltherapy.com.